Vladimir Putin met with foreign business community representatives on the sidelines of the Eastern Economic Forum. 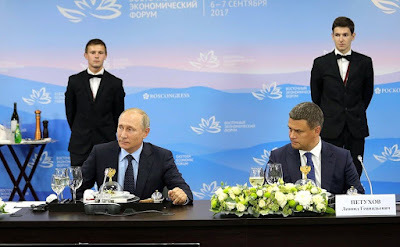 Russian President Vladimir Putin at the meeting with representatives of foreign business community. Friends, colleagues, I am happy to greet you here. First of all, I want to thank you all for meeting here in Vladivostok, Russia, for showing interest in working in the Russian market in general and in the Russian Far East in particular. Today here, there are representatives of many countries from the Asian region and our colleagues from European countries. Some of you have already started working in Russia and the Russian Far East, while others are in the final stages of the decision-making process. I know that you have projects in a wide variety of fields, including transport infrastructure, mining, the processing industry, healthcare and a number of other industries that are interesting in terms of business for participation in these projects in the Far East of the Russian Federation. Such meetings are always of great value for me and for my colleagues from the Executive Office and the Russian Government. They make it possible not only to build trust, which is extremely important, bearing in mind that business to a great deal relies on trust between all participants in this process. But it is also important to hear your opinions, your assessments of business conditions in Russia, in the Russian Far East. I mean if there are any problems that require special attention from the authorities of regions or cities or the Russian Government in general, what needs to be done to improve the business climate in the country, what administrative procedures are still hindering and are to be streamlined. Vladimir Putin met with representatives of foreign business community. So, feedback from those who work and want to work in Russia is important to us. I once again cordially welcome you all, and at the beginning of our meeting I would like to toast your health and success. 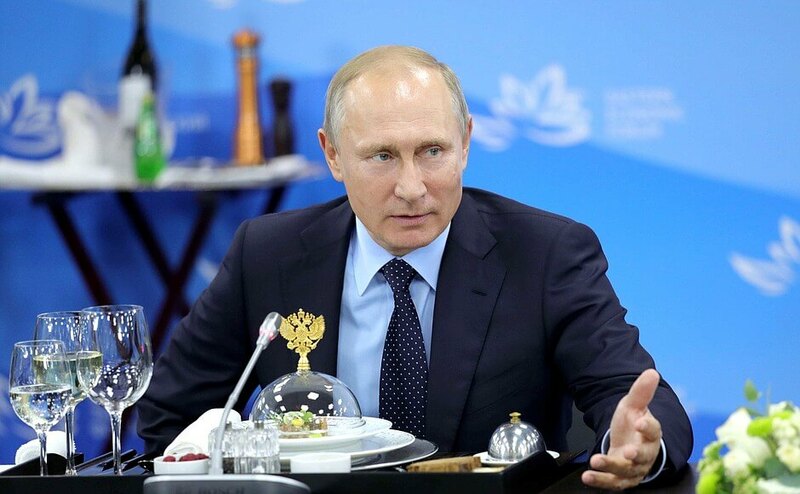 0 Comment to "Putin met with representatives of foreign business community"